KVM VPS meaning a virtual private server virtualized through kvm technology that offers all advantage of dedicated server but in small scale and price. How does KVM VPS Affect your businesses? One of the most critical challenges that faces you on the beginning of publishing your website online is choosing the hosting. Let’s assume that you invested a lot of time, money and effort to build a stable website: to sell a certain product or a service. You even would pay more to market for the website through social campaigns, Adwords, SEO ………etc. Let’s continue assuming and assume that you gained a good position on the different search engines. Your businesses know is having a fair number of clients. Your traffic is increasing significantly even your clients are becoming more and more interested. Suddenly your website stops because of overload and large traffic. Can you Imagine how much you could lose, the effects on your business and the loss of your clients trust. All your client would turn to you competitors. Do you know why? Because You didn’t choose right in the first place. Either you are an amateur or a professional you will need HuskyVPS.com customized plans. 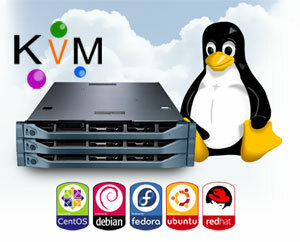 Our KVM VPS would suit all you needs they offer you dedicated resources. You can choose the most suitable plan for you from our different plans. Unlike shared hosting or even OpenVZ containers KVM VPS never face over-sale. Shared and OpenVZ hosting also face overload as all the subscribers share the server resources either randomly or with soft barriers. Since Linux kernel version 2.6.20 KVM technology was merged into the mainline of linux kernel. Kernel-based Virtual Machine (KVM) is a full virtualization solution that allows the Linux operating system to act as a hypervisor. KVM also supports a wide variety of guest-machines operating system that includes Windows, Linux, BSD and OS X.
KVM also supports paravirtualization for devices as disk I/O control unit, Ethernet interface, also balloons for guest VMs manipulation, and VGA interface using No-VNC or SPICE. This amazing support reaches out to the various operating systems through VirtIO API. What is hypervisor? and Which is the best?! A hypervisor is a computer firmware/software that allows user to host virtual machines and run them. The server installs the hypervisor which will make it to be the parent or host, while the created machines are the daughter processes or the guests. VMware ESX. 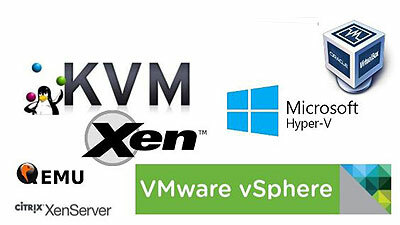 VMware is one of the cutting edge hypervisors that enables the host to perform many complex tasks. Microsoft Hyper-V. Microsoft as a huge competitive company launched its Hyper-V to be the number one competitor to VMware. What is a KVM hypervisor? KVM hypervisor is installed on Linux machines to act as the virtualization level of the system which will enable the host system to manage the guest virtual machines. 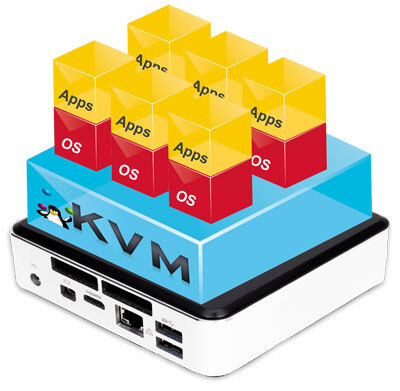 Let’s have a look on the model of KVM. 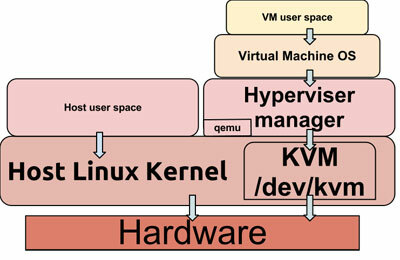 In KVM the Kernel acts as a 2nd level hypervisor. Every guest machine have its own kernel and is a process from the host point of view with a PID. With the above approach we can see that the kernel itself protects the resources of each machine (process). in Huskyvps.com we provide the cheapest kvm vps in market.